Are you new to Crusader Kings 2 and don't know where to start? You probably encountred the tip to start from Ireland for the begging but the game is still slow and/or confusing? Fear not for this guide will show you how to create a kingdom in one character! Cassus Beli is a reason for war. Without it you can't fight. You can wage war against someone who has lands you or one of your courtiers have claim on and few other reasons, but for the sake of this guide we will need just Claim and De jure. De jure means "by law". 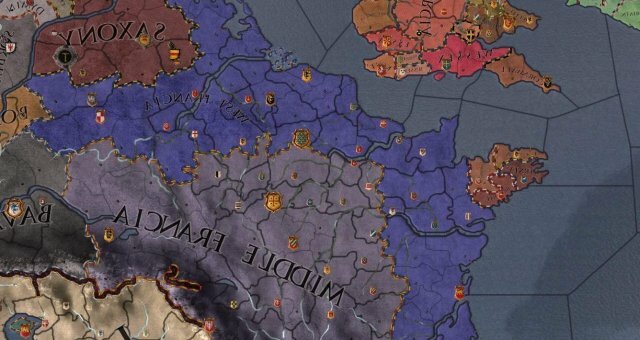 Every duchy consists of counties, every kingdom is made of duchies and so on. If you have duchy title, but not all of it's de jure lands belong in your realm, you can wage war against outside holders. Winning De jure war always results in realm coming to your realm (but if you are the king it's not always for you, I will describe it later). Claimant must already have land in your land (barony will suffice). The title you are pressing claim on must be lower than yours. For example, if ou are a duke and you press claim on a duchy for someone else, that person will be independant. But if you are king and press a claim on duchy for your vassal duke, then duke will have two duchies and you still are his liege. That should be enough to get you starting. Step 1: Choosing your character. For begginers, Ireland with a starting date of 1066 is a good choice for couple of reasons. Most rulers are count-tier which means they have up to 3 counties which is low. That gives you early advantage since you can easly gain more lands and be the most powerful person in the land. Murchad ua Brian, duke of Munster - he is a duke with a single county, two vassals, a De jure claim on a nerby county, male heir and, what's most important, a historical bloodline. That bloodline can be passed to his descendants which give ua Brians an advantage over other Irish rulers. Aed ua Conchobair, duke of Connacht - an old guy with realm of two is weaker than Murchad, but still relevant since he is duke, but he lacks the bloodline and lands. His advantage lies in his position. 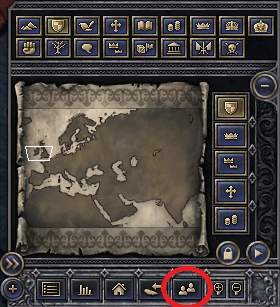 West Connacht has a double battle modifer giving your troops advantage and giving enemies disadvantage at the same time (attacking from here gives our troops disadvantage though). Murchad ua Cheinnselaig, count of Dublin - his start is a little bit trickier than the last two since he is a count and has no de jure claims. But he has two things other counts hasn't at that is county of Dublin which is both duchy and kingdom de jure capital (it gives nice modifier to troops) and is an heir for county of Leinster, which makes him triple count. His dad has to die first though, by natural means, or your scheming. He is old, so you can just wait up. For the sake of simplicity, the rest of the guide will be made as if ua Brian was chosen to play. Step 2: Council. First thing you do is checking your council. Set your chancellor to Fabricate claim job on whatever county near you, but in case of Desmond it's not needed(you already have De jure claim on it so it 's not neccesary, but if you fabricate claim you prevent a civil war, more on it later). Set your chaplain to improve religous relation with any of your bishops. Set join court on yes and search all (remember that only men can be in council, exception is rulers wife who can be spymaster). Filter them by what ability you need and invite those with best. Profit! Step 3: Stabilizing your realm using a civil war. In My Plots you have a table, click on the blue "Choose a plot". Choose "Revoke county of ..."
To succeed you need 80% plot power and at least 1 backer (that's why your chaplain works on improving relations). If you meet the requirements, there is decision to revoke the county. By revoking them in this way vassals usualy rebel, which means you have to apply good old way of crushing them to bits. You should have more troops from your one county and vassal so it's no worry. When you hold all counties in your realm you can get to next chapter. So you have your realm stabilized. Good. Next step after winning the civil wars is more wars. Step 1: Fabricate Claim. This is the reason most people don't play as Ireland when they learn to play. Other countries can gain lands by pressing other claims, but Irish usually have to do without it at the beginning, which is bit tedious. If you managed to fabricate the claim, just press it and win war and proceed to next step. Step 3: Long live the king! You can create a kingdom now, but don't be so hasty, there is one last thing to do before making kingdom! Your deflaut succesion law is Gavelkind which means all your sons get some of your lands when you die. You want to change that to ethier Tanistry or Primogeniture. 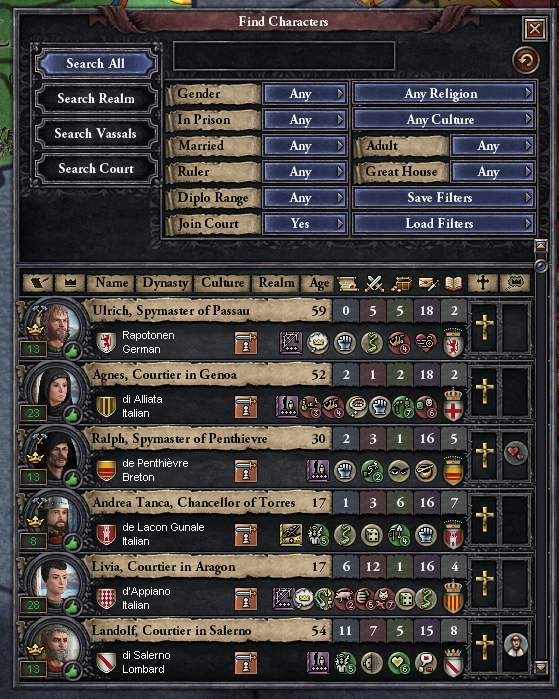 If your realm is full of counts of your dynasty, it enables you to gather all your familys land back togheter (not quite, since vassals usually favor landless heirs, but it's possible). Primogeniture gives all your not-eldest child -10 opinion on you, which means nothing, unless they are also your vassals. For the rest of the land, ethier conquer them with de jure claim or offer them vassalization. Many accept if you haven't waged war on them. When you become the king, you should already have a knack on this game, so ethier go play someone else, or become emperor of Britannia. To become emperor, just do what you did earlier on dukes instead of counts. Best order of conquering the British isles is Wales, Scotland and England. Wales are just a bunch of dukes, like Ireland was before you happend, but it has less land than Ireland, so it's not a best start. Scotland is already a kingdom, and it can kick your ♥♥♥ quick if you don't watch it, but getting it piece by piece is quite easy. England is trickier due to it's size, but doable if you have Wales or Scotland under your thumb.